If your children are anything like mine when they get home from school they are probably hungry and reach into the pantry for a grab and go snack. When I am out grocery shopping I try to avoid the middle isles because they are filled with mostly junk foods. But, when life gets busy and convenience is a must I need a pre-packaged snack. Consumers like myself are constantly looking for better-for-you snack options – yet according to BakeryAndSnacks.com, 85% of Americans have difficulty finding snacks that are truly tasty and healthy. Biena Roasted Chickpeas just may just be the solution. Cinnamon Maple: Bold Vietnamese Cinnamon, a touch of Pure Maple Syrup and Evaporated Cane Juice. They’re sweet enough to satisfy those sweet cravings, without being too sweet. Honey Roasted: Real wildflower honey rounded out with sea salt for a sweet and slightly salty taste experience. Sea Salt: Lightly dusted with sea salt harvested from the Atlantic Ocean. The original crunchy roasted chickpea snack that started our brand! Barbeque: Classic BBQ flavor with tangy, sweet, spicy, and smokey undertones that is sure to keep you satisfied. The Cinnamon Maple is a favorite in my home due to it’s sweet flavor. It tastes more like a dessert than a healthy snack. Biena Foods was started several years ago by Poorvi Patodia. With her South Asian heritage she grew up eating eating lots of lentils and chickpeas. Her mom was an incredible cook and her dad was into healthy foods. She knew that someday she would want to own her own food company. When Patodia was shopping at a grocery store one day a woman was sampling a healthy snack. She tried the snack and was surprised at how little nutritional value it really had. 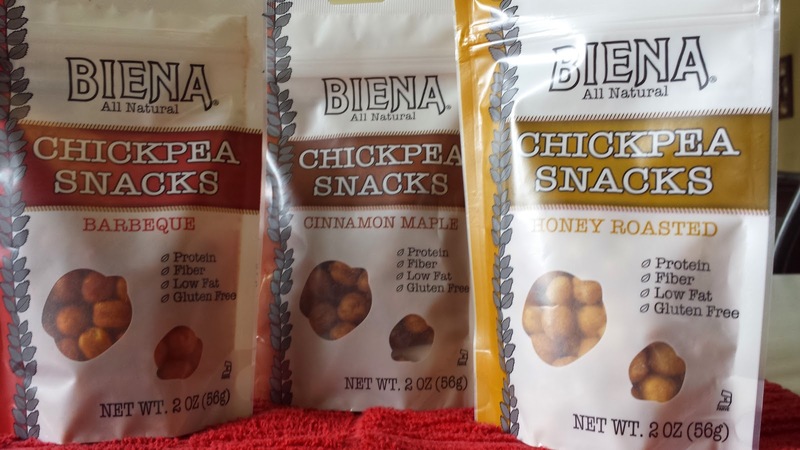 For more information about Biena All Natural Chickpeas visit bienafoods.com. *Disclosure: I received samples of Biena All Natural Chickpea Snacks in exchange for this review. All opinions are accurate and 100% mine.